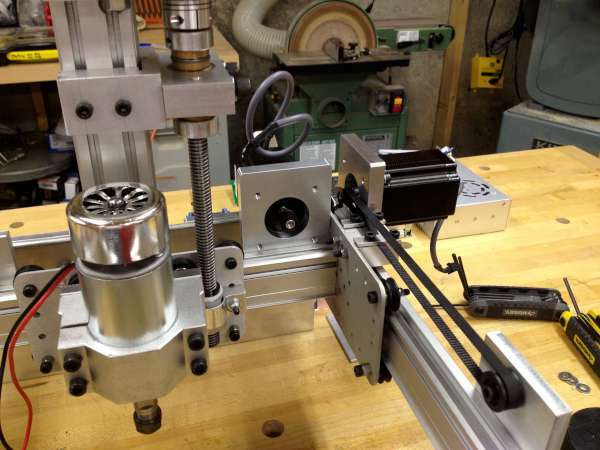 I’ve been working a couple of nights a week assembling the CNC puck Mill. 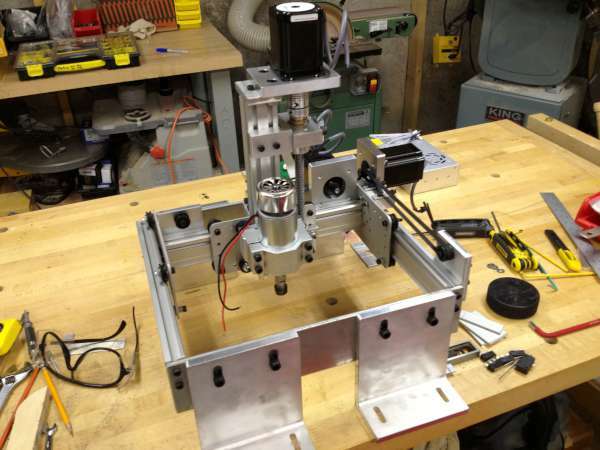 It’s a small CNC mill with a work area of about 5 inches square. 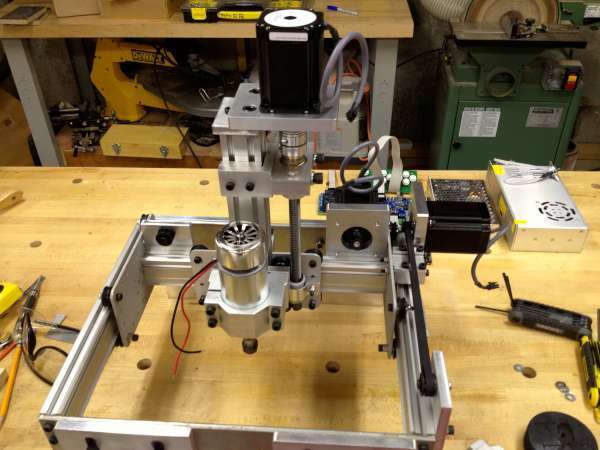 I’ve tried to use Makerslide, and components available from Inventables.com for as much of the construction as possible. 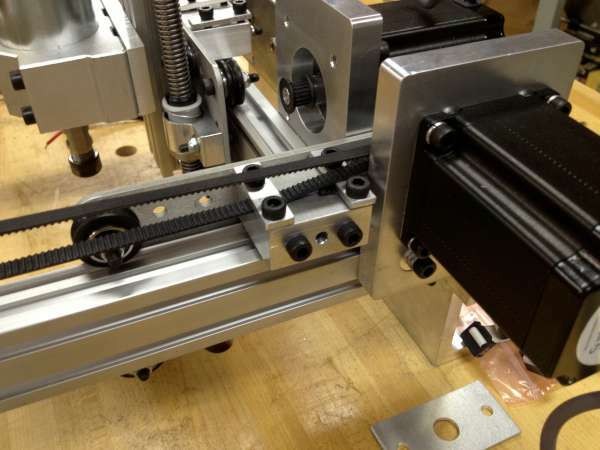 I’ve only machined small adapter pieces, and things like the belt holder, and limit switch arms. 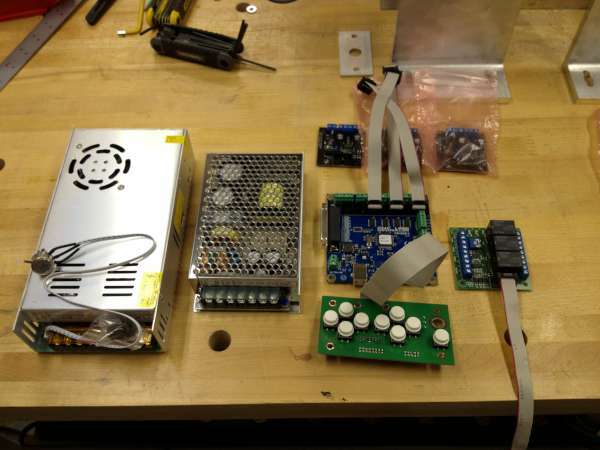 The electronics are laid out on the bench. Thinking about how to house this stuff.